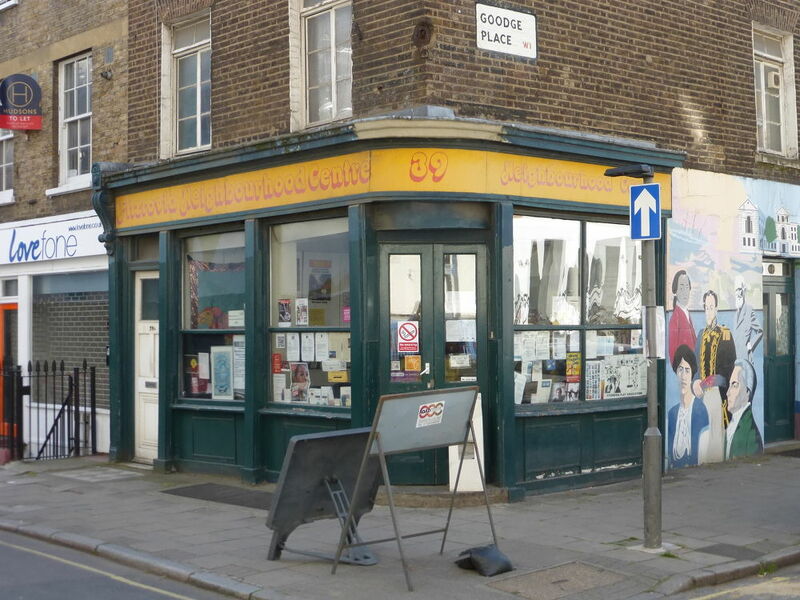 This summer the Fitzrovia Neighbourhood Association (FNA) is celebrating 40 years since opening the Neighbourhood Centre, with an exhibition, sale of art and craftwork, and historical talks and walks. Despite its proud history and valued services the FNA faces a difficult time competing for grant funding as the community faces threats from over-development and spiralling rents. The Neighbourhood Centre at 39 Tottenham Street is a base for many kinds of community activity. 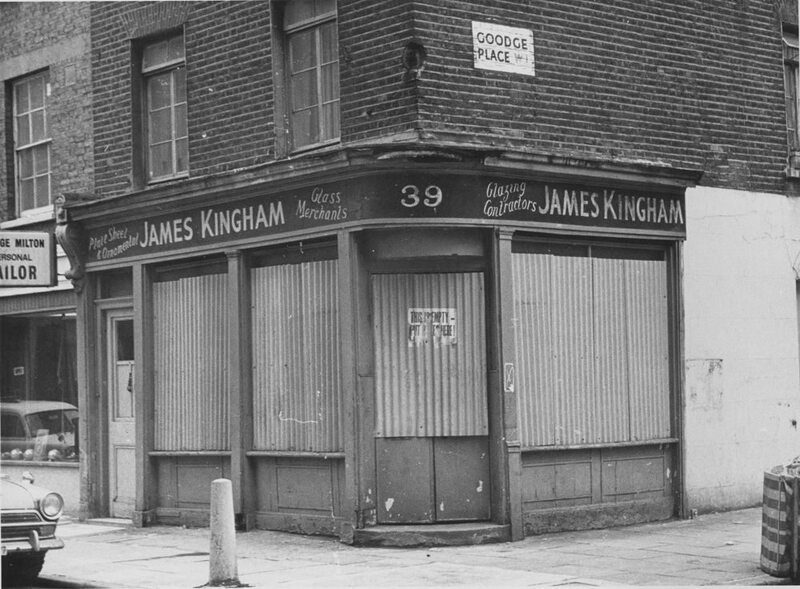 The former glass shop on the corner of Tottenham Street and Goodge Place was renovated and opened in 1975 to provide housing and welfare advice and as a community meeting place with money provided by an urban aid grant from the then Greater London Council (GLC). The former glass shop was renovated and opened in 1975 to provide housing and welfare advice, and as a community meeting place. The Neighbourhood Centre went on to become a base for many kinds of community activity including street festivals, food co-ops and residents’ organisations. 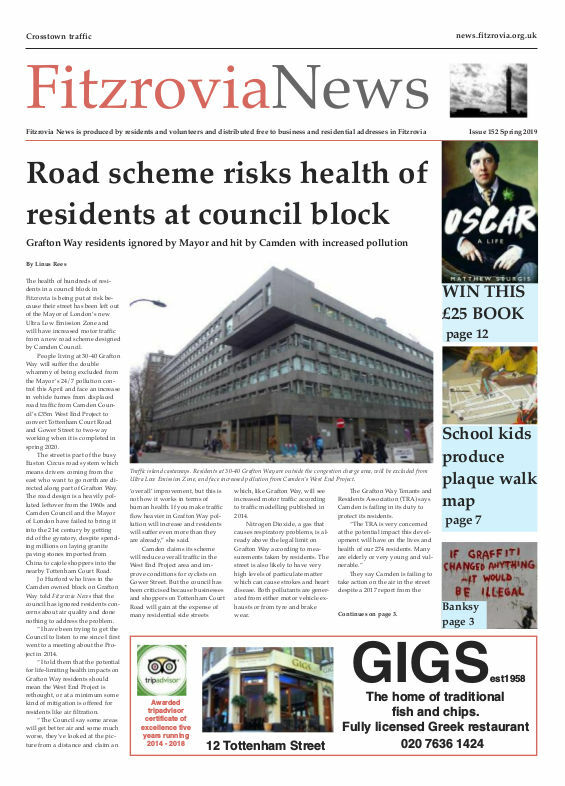 Fitzrovia News is produced there, along with the annual Fitzrovia Festival. The Neighbourhood Association is well-known for its work with the local Bangladeshi community and in particular its art projects with Asian women and women from other backgrounds, as well as work supporting older people. It also carries out health projects and works with residents to respond to planning and licensing applications. Over the past four decades several important central London amenity groups emerged out of the Neighbourhood Centre. The Central London Law Centre, Chinese Workers Association and the Bengali Workers Association all got their start at the Tottenham Street building. Many residents and community groups such as the Charlotte Street Association, Fitzrovia Play Association and Friends of Open Spaces in Fitzrovia have benefitted from using the facilities at the Fitzrovia Neighbourhood Centre. These groups have saved much of the historic fabric of the area and have helped develop local parks and nurseries for the benefit of local residents. 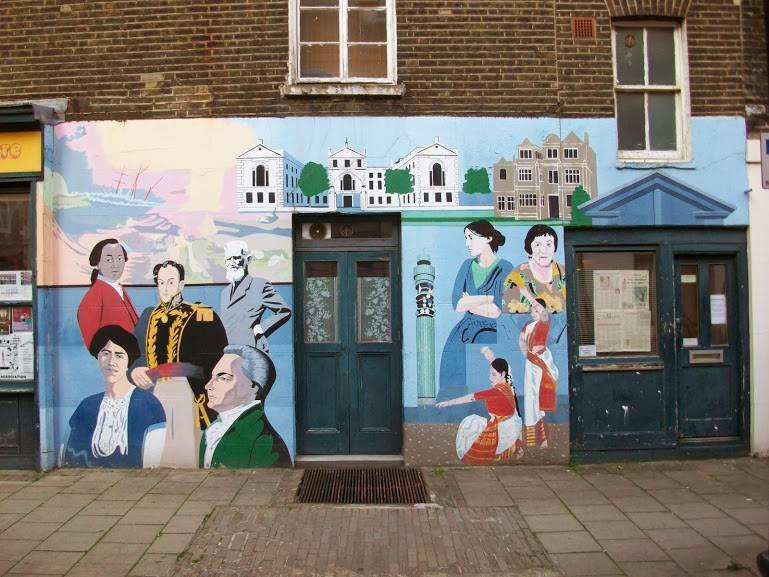 In 2000 a mural showing key figures in Fitzrovia history was painted on the Goodge Place wall by local children supervised by mural artist Brian Barnes MBE. In the year 2000 a mural showing key figures in Fitzrovia history was painted on the Goodge Place wall by local children supervised by mural artist Brian Barnes MBE. In 2004 the Fitzrovia Neighbourhood Association became a registered charity. Like many voluntary organisations in recent years the Fitzrovia Neighbourhood Association faces problems with funding its work. Camden and Westminster Councils no longer make grants for the kind of advice work it does, despite the fact that it is one of the few places still offering bilingual work in Asian languages and is needed more than ever with recent changes and cuts in access to benefits, housing and council services which affect everyone. 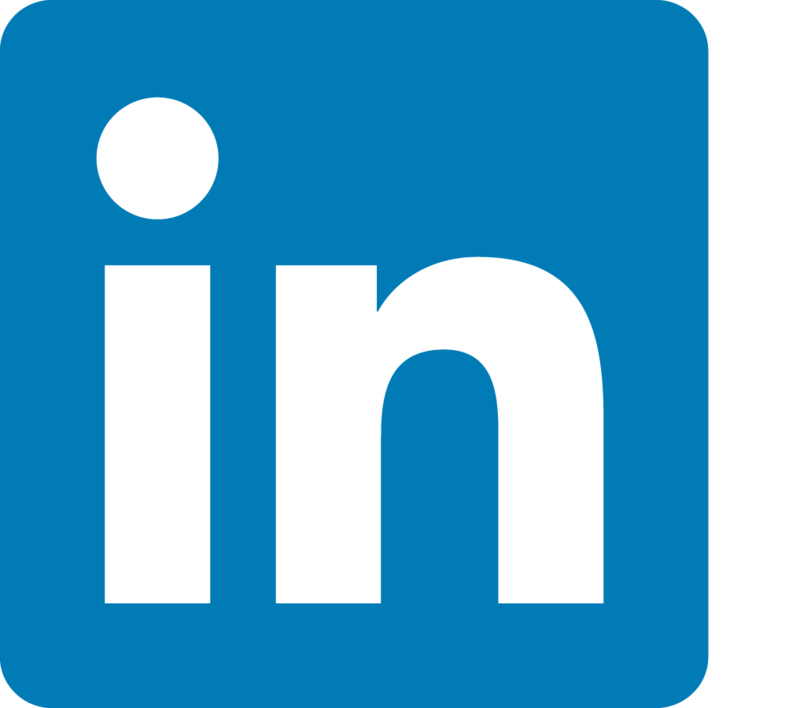 The organisation has to compete with many other groups chasing an ever decreasing pool of money. Barb Jacobson who runs the Association’s Older Fitzrovia project has warned that the organisation “faces severe challenges to fund its services and community work. “Back in the 1970s the struggle was to keep residential accommodation in Fitzrovia and preserve its historic Georgian and Victorian buildings during a time of rampant office development, now long-time residents and businesses both struggle to stay here in the face of skyrocketing rents,” says Jacobson. “The richly diverse and creative community here is under threat from the relentless development of luxury accommodation for part-time owner-occupiers and transient tenants. Despite huge disparities in wealth the average income is still only around £25,000,” she says. The 40 year celebration will be based around the Fitzrovia Festival held throughout June. The Fitzrovia Neighbourhood Association is hoping people will enjoy the events and give generously to help to fund its much needed work. The full list of Fitzrovia Festival events is here.